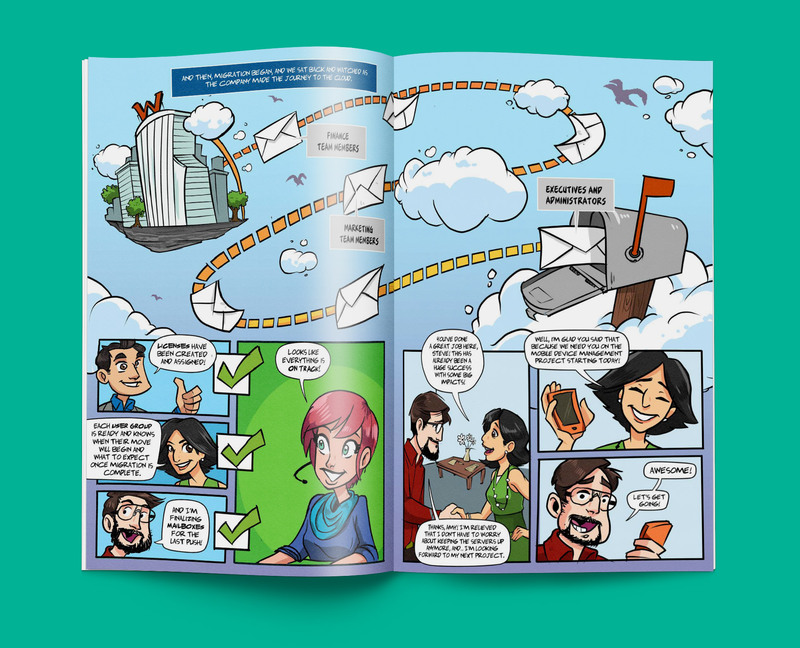 The Microsoft Fast Track team approached Indigo Slate for help communicating the benefits of Office 365 to an IT audience. 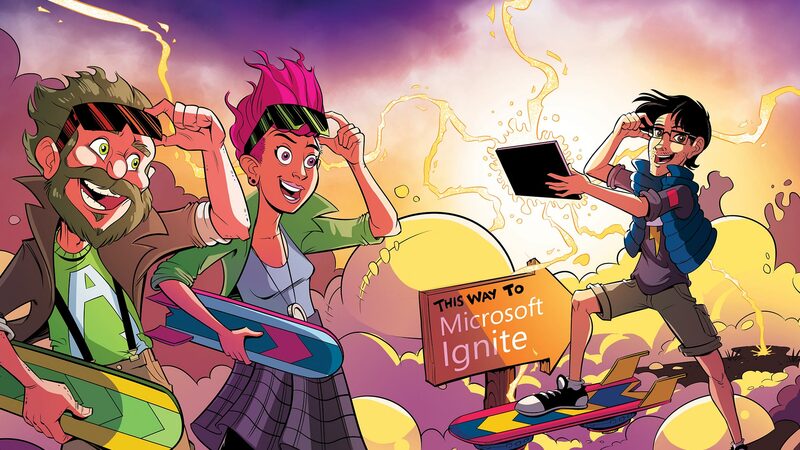 The cloud has a threatening perception in the IT world, and Microsoft wanted to show how the cloud is a tool that IT can use to evolve their current roles, not eliminate them. 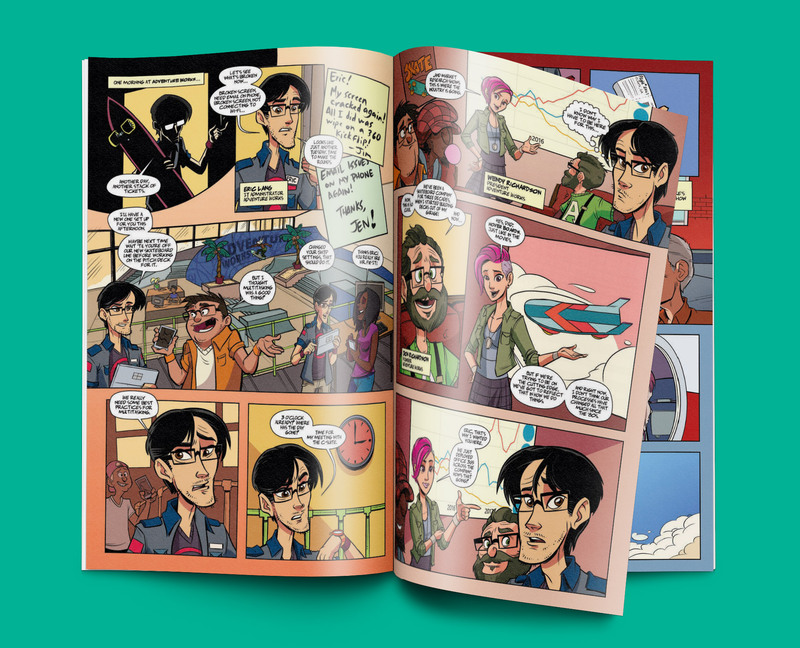 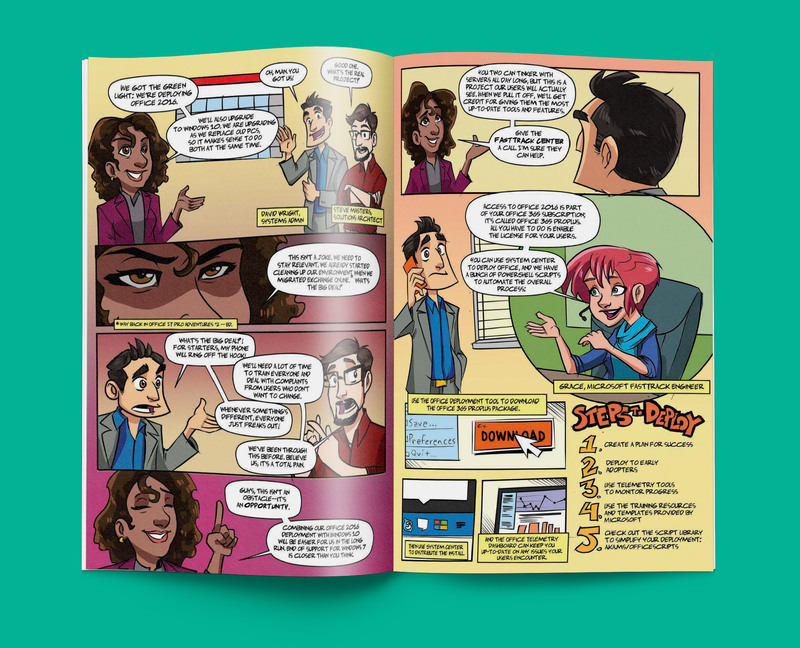 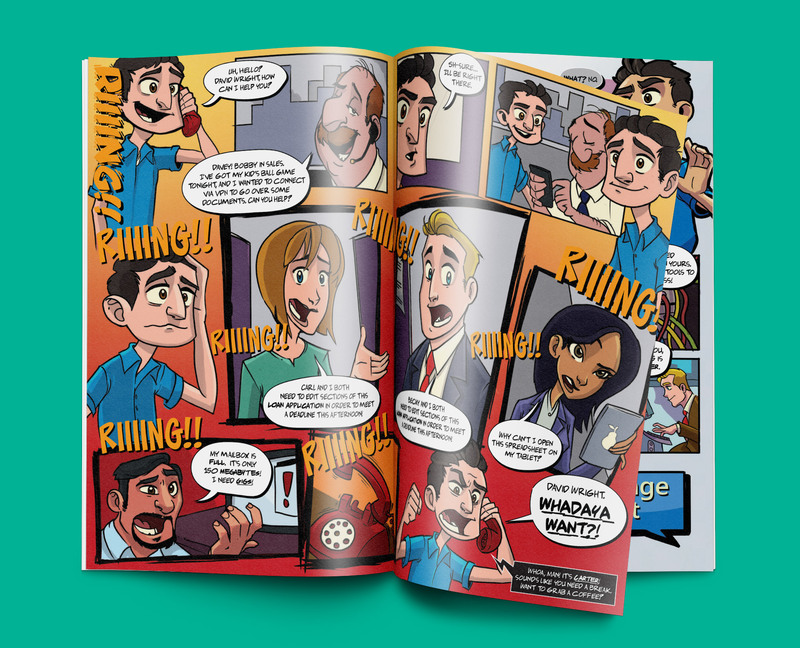 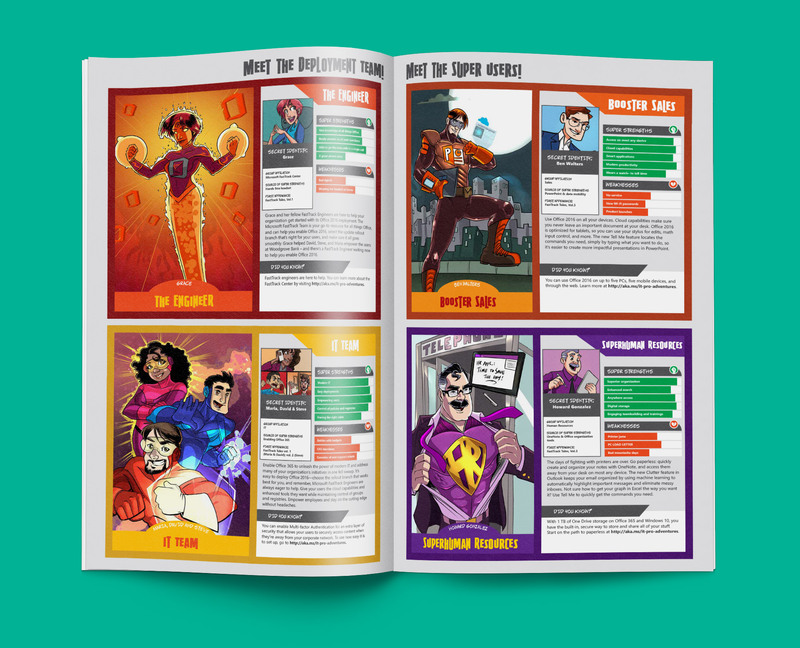 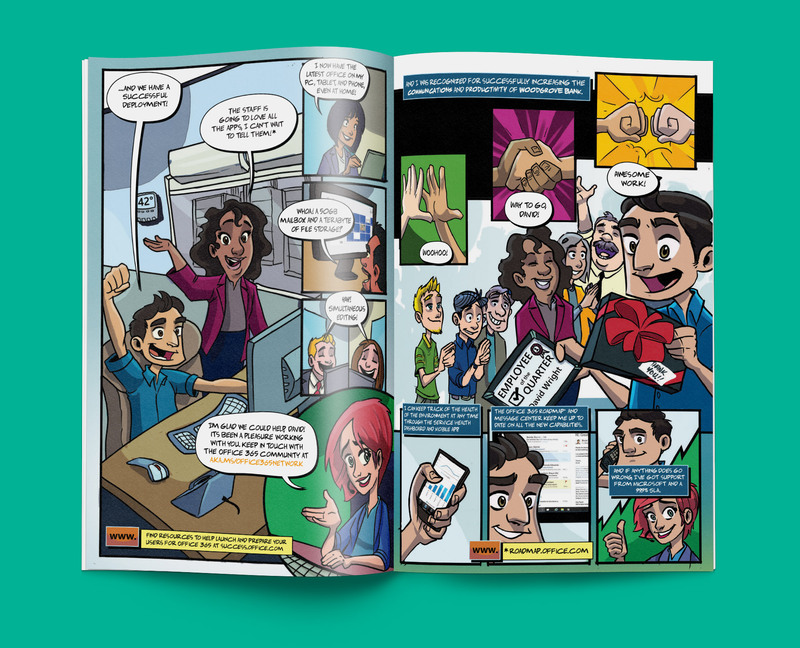 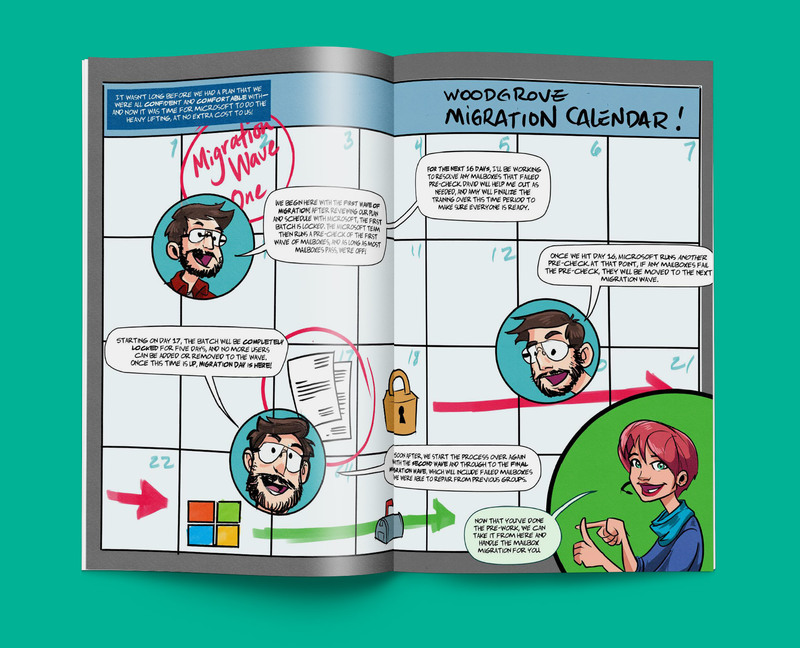 Our solution was to create a graphic novel series that acknowledged the industry’s fear and current pain points while also showing how Office 365 could alleviate them. 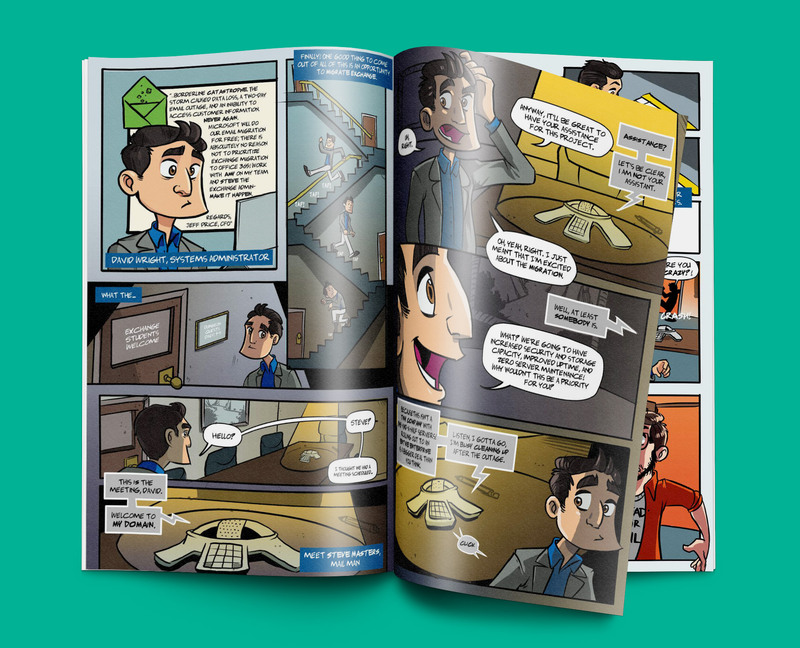 Each story is grounded in real scenarios that people face on a day to day basis. 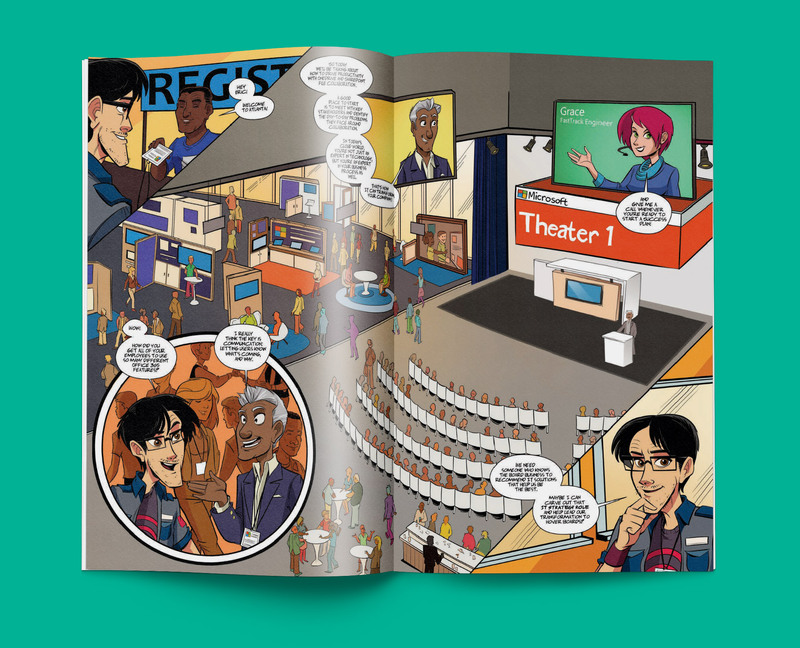 The series is broken into three issue segments to allow for different industry exploration while each issue talks about a unique IT workflow problem that Office 365 can help with. 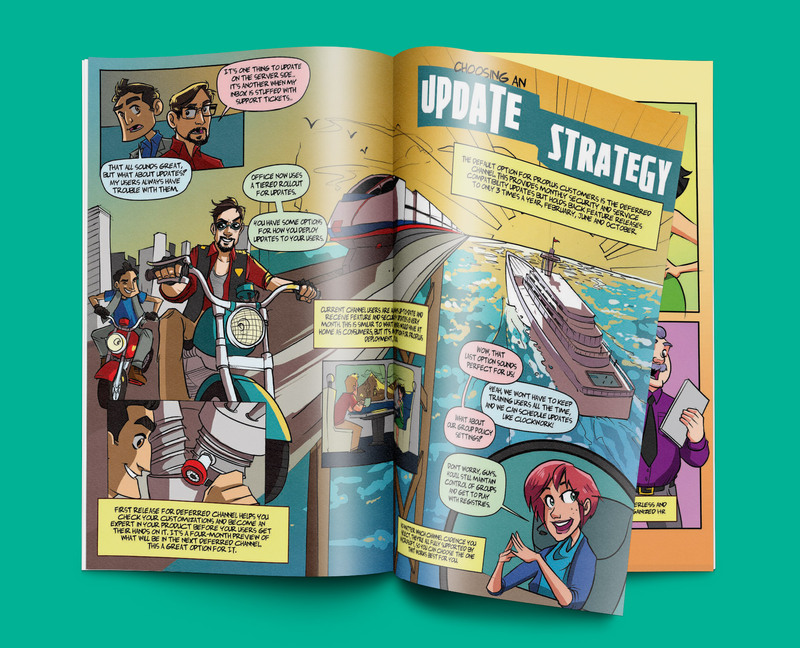 You can currently download and read all the issues here.